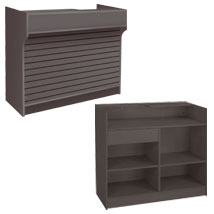 Talk about big, this Ledgetop Counter With Slatwall Front is a whopping 72 inches wide. 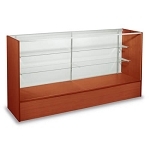 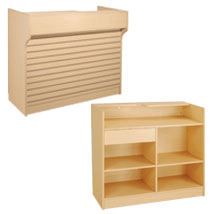 Order this cash counter and you know you will have enough room for all the products you want to display. 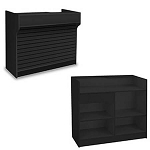 The slatwall front is a great place to display impulse items such as candy and shelves on the back side can be used to keep clutter out of sight. 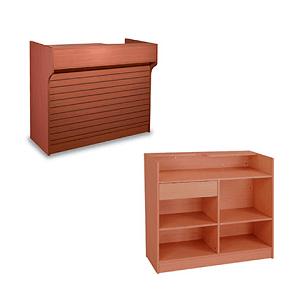 Combine with other modular units to create your own arrangement.